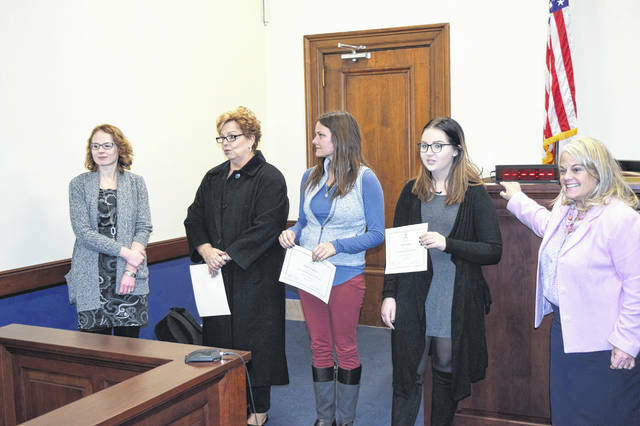 On Monday, Jan. 28, the Preble County Juvenile Court and Judge Jenifer K. Overmyer welcomed three new CASA volunteers — court-appointed special advocates for abused and neglected children. 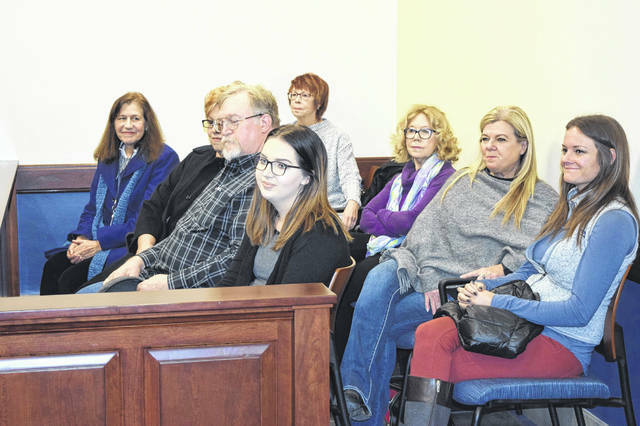 EATON — On Monday, Jan. 28, the Preble County Juvenile Court and Judge Jenifer K. Overmyer welcomed three new CASA volunteers — court-appointed special advocates for abused and neglected children. 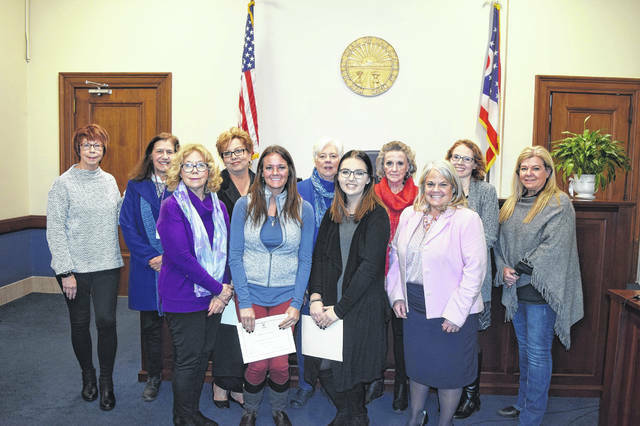 The newly appointed CASA volunteers join 14 other dedicated community members who advocate for children in the Preble County Juvenile Court because the children have been removed from their parents due to abuse or neglect or otherwise necessitated Children Services’ involvement. As officers of the court, the volunteers ensure that the children’s needs are recognized and their best interests are considered. CASA volunteers are asked to meet with the child regularly and are authorized to interview people in the child’s life such as social workers, attorneys and teachers. They attend court hearings with the child and report their findings to the judge. Numerous Preble County children are waiting for a CASA volunteer to serve as their voice in Preble County Juvenile Court proceedings and more advocates are desperately needed. The only prerequisites for becoming a CASA volunteer are being at least 21 years of age, clearing an extensive background screening and successfully completing 30 hours of training. Anyone interested in learning more about becoming a CASA volunteer and the rewards which accompany being the voice of an abused or neglected child, can contact Mary Warrick at 937-456-2885 or prebcocasa@gmail.com. The Preble County CASA Program is a member of the Ohio CASA Association, the only statewide organization supporting all local CASA programs in Ohio, and the National CASA Association, a network of more than 900 CASA programs serving children in 49 states and Washington D.C.
https://www.registerherald.com/wp-content/uploads/sites/41/2019/02/web1_CASA2.jpgOn Monday, Jan. 28, the Preble County Juvenile Court and Judge Jenifer K. Overmyer welcomed three new CASA volunteers — court-appointed special advocates for abused and neglected children.